Peyton has been asking to pierce her ears for some time now. It’s a big responsibility to have pierced ears. There’s a lot of care in those first few weeks to ensure they heal properly. And once they heal, you’ll need quality earrings for your little one’s ears. Cheap earrings can lead to infections and discomfort. 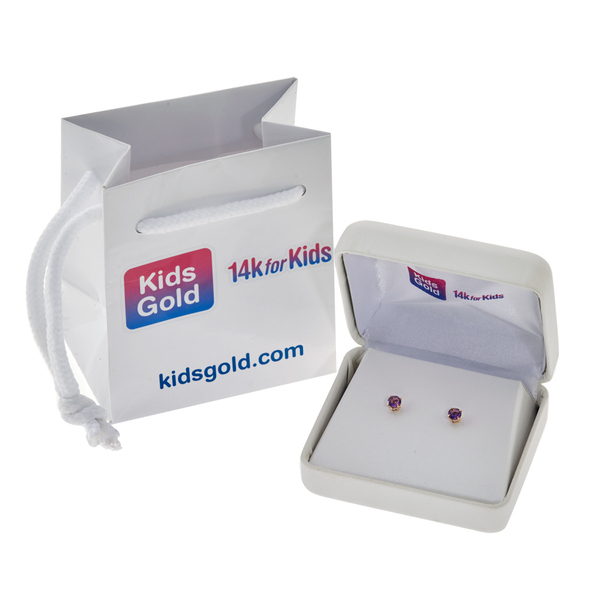 Kids Gold makes quality earrings with 14k gold posts. Having a quality earring will help cut down and eliminate issues. Since Peyton is a May baby, I chose emerald earrings. With 14k gold post I won’t have to worry about an allergic reaction. They are the perfect size for little ears. Each emerald is set in a four prong setting to ensure they will not fall out and be lost. The emeralds are approximately 4mm which look nice on little ears and not over powering. Peyton was very excited when she saw the earrings. Even more excited when she found out they were for pierced ears! Too bad her ears are not pierced just yet, but they will be soon. Each set of earrings comes in a white jewelry box and gift bag. They even carry matching necklaces and some bracelets. 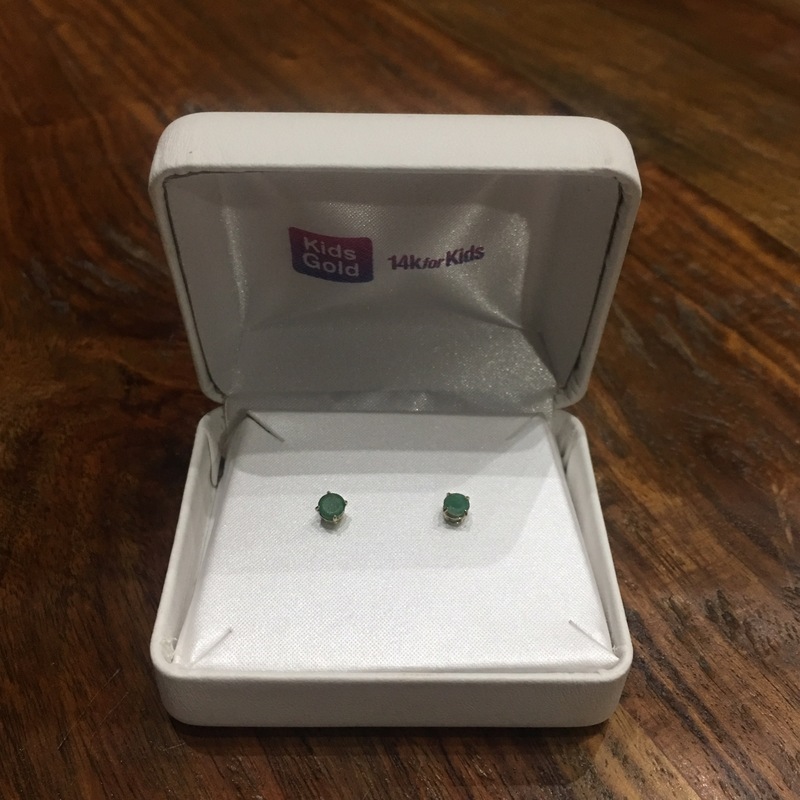 If you are looking for a special birthday or holiday gift check out Kids Gold. They have a beautiful selection of fine jewelry at affordable prices for children.